Having a good rest at night is essential for our health. Everybody needs to have a quality sleep in order to get up fresh and energized in the morning. 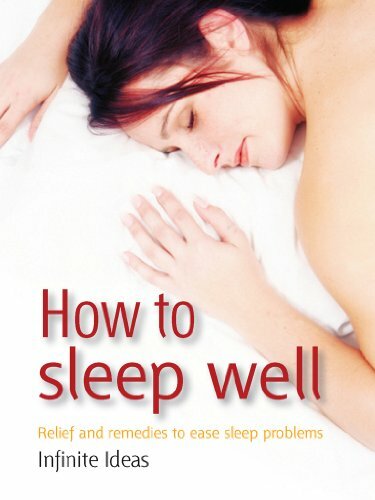 However many of us often can not have a sound sleep at night. Do you ever wonder why this happens? There are many reasons for this, and one possible reason is because of the food we eat right before bed time. If you want to have a quality sleep, you should know what food to avoid from two to four hours before sleeping. Eating greasy and fatty foods such as ice cream, french fries, potato chips or hamburger will make your stomach work harder at night. If you go to bed right after eating these fatty foods, you will be likely to have some stomach ache or acid reflux. Fatty foods need a few hours to be completely digested in the stomach and this process will make it difficult for you to sleep. Sometimes we crave for sweet food at night, but it is not a good idea to have something sugary such as candy or soft drink. It is because sugar will give you an instant boost of energy and keep you awake throughout the night. Other than containing sugar, soft drink such as coke or pepsi contains citrus and other chemicals that promote acid reflux. Food with high carbohydrate such as pasta or noodle is also not a good night snack, as carbohydrate will turn into sugar and fat. Do not eat foods that contain a lot of protein such as steaks or red meat before bed time. Protein is not easily digested and it may cause some discomfort in your stomach. If you really want to have some snack with protein, it is much better to choose milk or yogurt. Another killer of a good night sleep is to have some spicy food before bed. Spicy food may upset your stomach if you are not used to it. Having spicy food prior to sleeping will also raise your body temperature and reduce the duration of your sleep. Vegetables are healthy food, however eating broccoli, cauliflower, cabbage and onions before bed time will make you stay awake during the night. The insoluble fiber from these vegetables will move slowly in your digestive system and tend to produce some gas that might disturb your sleep. Drinking alcohol may make you feel sleepy, but you will not get a sound sleep. Drinking alcohol before bed time will disrupt your sleep cycle, which in turn may wake you up several times at night. For some people, drinking alcohol will even make them snore heavier. Caffeine is certainly a number one stimulant that can cause you stay awake at night. For those who are sensitive to caffeine, they should try to avoid drinking beverages that contain caffeine such as coffee, tea, or energy drink. All kinds of chocolates including milk chocolate and especially dark chocolate contain caffeine that you should avoid eating at night.